Most of us do not give our stool color a second thought but when the color of feces is unusual, like a green hue, then it does become concerning. Fortunately not all cases of abnormal stool color is a cause for concern. Sometimes it is due to dietary factors when strong dyes in foods are or beverages not broken down and exit the body with the stool. 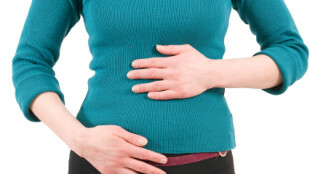 The presence of green bowel movement needs to be correlated with other symptoms, like abdominal pain or green diarrhea, in order to be identified as a medical problem. 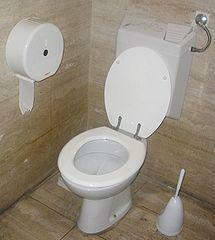 The sight of green bowel movement, especially if it is diarrheal stool, is often thought to be due to bile. The natural color of bile is a yellow to green color so this is a reasonable assumption. However, the components of bile are often broken down during the transit through th gut and is mixed with food, water and mucus to an extent that stool does not look green. The natural stool color varies from a tan to brown color and even a darker brown hue is not a cause for concern. However, overtly green stool needs to be investigated. Diarrhea is a symptom like greenish stool and when there is green diarrhea there needs to be further medical investigation into the reason for these abnormalities. It may not always be bile that is causing this discoloration and it is possible that the cause of the greenish bowel movement is also the cause of the diarrhea. Acute diarrhea that resolves in a few days without complications is not a problem in most cases but persistent green diarrhea needs medical attention. A large portion of the bile that is secreted by the gallbladder is reabsorbed back into the body to be processed again. The waste products are either expelled through bile once again which is then evacuated with stool or filtered by the kidneys to be discarded in urine. Therefore the presence of large amounts of bile in the stool may be an indication of a problem with this reabsorption and re-processing functions. Dietary factors are one of the most common causes of abnormally colored stool, like green feces. Most green foods and beverages are subject to digestion and is mixed with other foods consumed earlier as well as with fiber, water and mucus. It is not common to see the greenish pigments of the foods that we eat in our stool. However, if the body cannot digest the food or beverage appropriately like when the movement through the gut is too fast as is seen in diarrhea, then these pigments may discolor the stool. Young children in particular may consume inedible substances which can cause stool discoloration. Provided that there are no other symptoms, it should be left to flush out of the digestive tract on its own or seek medical attention. Therefore any green foods and beverages may rapidly move through the gut and be evacuated with stool where it is seen as green diarrhea or green bowel movement. Rather than there being excessive bile in the stool, the problem is more often due to bile not being appropriately processed in the intestines as it normally would. The bile is not reabsorbed and remains in the stool where it can stain the stool. This may occur with inflammatory diseases of the intestines like inflammatory bowel disease (Crohn’s disease or ulcerative colitis) as well as with a shortened bowel like when it is surgically removed for example in the removal of a cancerous bowel tumor. Greenish discoloration of the stool on its own is not a major medical concern unless it becomes recurrent and presents with other symptoms. Most of the time it is due to food, beverages and supplements but when diarrhea is also present then treatment maybe necessary. Accompanying symptoms like abdominal cramps, excessive gas, vomiting and nausea also need to be reported as collectively it may be a sign of some underlying disorder that needs to be further investigated. There is not specific medical treatment just for green bowel movement without other symptoms and normal healthy dietary habits should be continued. A simple measure is to identify the offending agent by the process of elimination. Return to a bland diet of freshly cooked meals and balance the meals with foods of a variety of colors. It should be rich in fresh fruit and vegetables and should be consumed with plenty of water. If the green stool persists despite changing the diet for 3 to 4 days then medical attention needs to be sought. WARNING: Never try to flush out any suspected food or beverage by using laxatives. This can actually worsen the condition and may even lead to complications that could have been avoided with proper medical care by a professional.